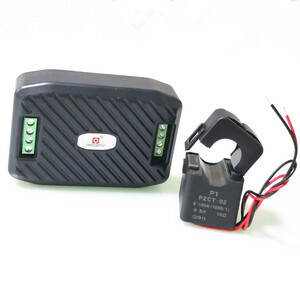 Ningbo Peacefair Electronic Technology Co., Ltd.
Jiangsu Acrel Electrical Manufacturing Co., Ltd.
Wenzhou Maihong Electric Technology Co., Ltd.
RS485 SDM630MCT-2C Multifunction energy meter with dual input for lighting and power. 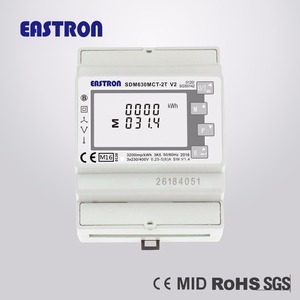 RS485 SDM630Mbus Multifunction energy meter with Bi-directional measurement for Solar Panel energy measurement. 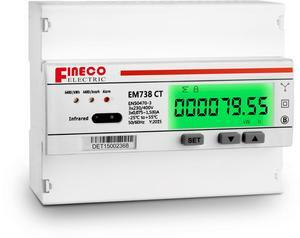 MBus SDM630-Modbus Multifunction energy meter with Bi-directional measurement for Solar Panel energy measurement. 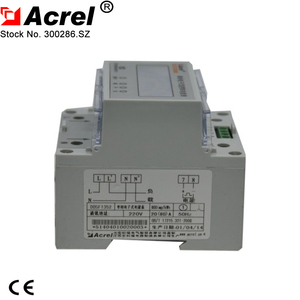 /C: RS485 Communication(Modbus-RTU) 79.1 PZ96-E4/MC LED display,three-phase electric circuit, 3P3W or 3P4W. Costa Rica National Stadium Adopt ACR and BD series multifunction power meters and transmitters are used in 1067 sets. Burma sugar factory Adopt ACR and BD series multifunction power meters and transmitters are used in 1067 sets. Shanghai Fangqiu Electric Co., Ltd.
Shanghai Fengyilong Electronic Co., Ltd.
A2: Please contact your technical supporter to replace this meter. A3: Please contact your technical supporter to replace this meter. A2: Please contact your technical supporter to replace this meter. HUABANG have a complete range of DIN-mounted electricity meters for different applications, together with a wide range of communication options. 3. Q: How about your products quality inspection9 A: We have professional QA and QC teams, 100% quality inspection is performed before goods out of factory. 5. Q: What&rsquo;s your quality guarantee9 A: we provide repair or replace service within 18months if energy meter is not working properly. Zhejiang Xintuo New Energy Co., Ltd.
2.Functions and features &bull; 35mm standard DIN-rail installation, complying with standard DIN EN50022. &bull; Four ple width (Modulus 17.5mm), complying with standard DIN43880. &bull; Standard configuration 6+1 digits display(999999.1kWh) by step motor type impulse register. &bull; Standard configuration pulse output passive(polarity), may select distant impulse output passive (nonpolarity). And contact with all kind of AMR system conveniently, complying with standard IEC 62053-31 and DIN 43864. &bull;Four LED respectively instructions every power supply state and singal of energy impulse. Toky has successfully established a good sales network and a top sales team, with more than 40 branch offices all over China and nearly 100 general agents in metropolis and middle cities. With strong technical skills, advanced manufacturing and inspection equipment, great sales network, and modern management system, our sales turnover increased 30% year by year. Our long -term object is to establish our sales network all over the world, become a well-known automation company and contribute ourselves to the world's development. 2. Does it support 3 phase 3 wire or 3 phase 4 wire system 9 Yes , it support both 3 phase 3 wire and 3 phase 4 wire system. 5. Does the power meter support SD card or USB port 9 yes , it support SD card and USB port. 2. Measure and record 3 phase voltage , current , reactive power , active power , apparent power , power factor , frequency , Kwh , KvarH ect. Yueqing Renhe Electrical Technology Co., Ltd. 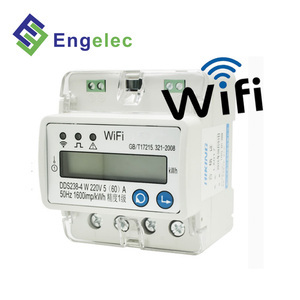 It provides voltage, current, power, frequency, power factor and energy information. SDM120 series has both direct connect types and 5A CT operated types. EASTRON is a technological enterprise with strong R&D resources and good sales. PILOT SPM93 Multi-tariff MODBUS Three Phase Energy Meter Basic Function Suit for 110V, 120V, 220V, 230V, 240V AC low voltage system 7 +1 digits LCD display (9999999.9 kWh) Measure and display V, I, P, PF, F, kWh, kvarh, Multi-tariff energy value Q,S can be read via RS485 Record historical energy for latest 31days , latest 12 months and latest 10 years kWh accuracy class 1.0 2 LED indicates pulse ((Settable for kWh or kvarh)) LCD display prompt for phase sequence error 3 keys for programming , 35mm DIN rail installing, standard DIN ED5002 High temperature resistant materials One RS485 port, MODBUS protocol Standard: IEC62053-21/ 23 Testing software Connection introduction Dimension Similar Products PMAC903 DIN Rail three phase energy meter (100A direct input ) SPM91 DIN Rail Single Phase Energy Meter PMAC201HW 12 Channel Energy Meter kWh meter Energy Meter Some of Our Factory Certificates ISO 9001 ISO 18001 ISO 14001 CMMI Level 3 ZHUHAI PILOT TECHNOLOGY CO., LTD. Add: No. 15, Keji 6 Road, Chuangxin Haian, Tangjia Hi-tech Zone, Zhuhai, Guangdong, China Post Code: 519085 Tel: +86 756 3629687/ 3629673 Fax: +86 756 3629600/ 3629700 . cn kWh meter Energy Meter Modbus Energy meter Modbus TOU energy meter Modbus multi-tariff energy meter LCD display energy meter Digital energy meter three phase modbus tou energy meter three phase multi rates energy meter smart energy meter SPM93 Three phase Modbus multi-tariff smart energy meter Max. 2 Are you manufacturer or business9 We are manufacturer established in 2002, and have over 16 years production experience. 3. Can I ask for samples9 Yes 4. What's the warranty of your products9 18 months 5. What's the lead time9 Depend on the quantity and model of the order, normally it takes around 2-3 days, but the exact lead time should be discussed with our sales. 6. How about the MOQ, Payment term, Delivery port, and shipping date9 1)MOQ: 100 pcs/item based on existing packing. ENERGY METER EXPERT / 1 PHASE 2 WIRE KWH METER with MODBUS 1.Product brief introduction XTM 75SC Single phase electronic DIN Rail active energy meter is a kind of new style single phase two wire active energy meter. It can accurate and directly stipulated in international standard IEC62053-21. 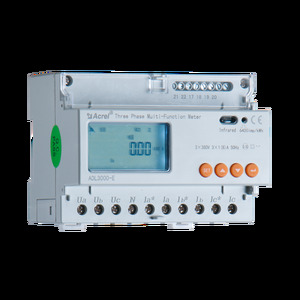 This meter has seven digits LCD displays shows the active energy meter consumption, with far infrared and RS485 communication module in it. 2.Function and features 1)35mm standard DIN Rail installation, complying with DIN EN50022. 2)Six pole width(Modulus 12.5mm), complying with JB/T7121-1993. 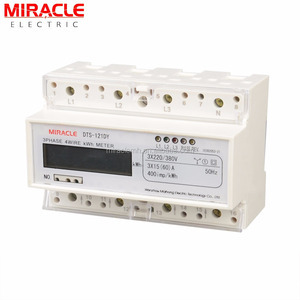 3)May select 6+1 digits display(999999.1kWh), it can be arbitrary set by users rom far infrared or port of RS485 data communication 4) Three LED instructions power supply supply state, signal of energy impulse and communication state 5). Alibaba.com offers 848 ct meter with rs485 modbus products. About 75% of these are energy meters. A wide variety of ct meter with rs485 modbus options are available to you, such as digital only, analog and digital. You can also choose from three phase, single phase. As well as from free samples, paid samples. There are 771 ct meter with rs485 modbus suppliers, mainly located in Asia. The top supplying countries are China (Mainland), United Arab Emirates, and Italy, which supply 99%, 1%, and 1% of ct meter with rs485 modbus respectively. 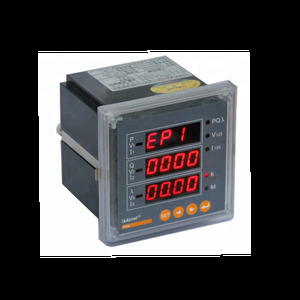 Ct meter with rs485 modbus products are most popular in Southeast Asia, Western Europe, and Domestic Market. You can ensure product safety by selecting from certified suppliers, including 580 with ISO9001, 133 with Other, and 131 with ISO14001 certification.